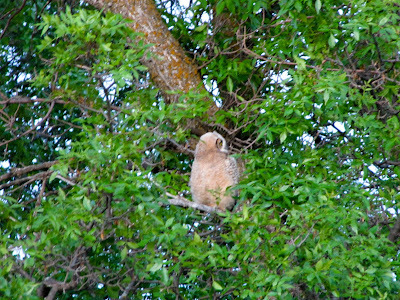 Over the past few days I have been lucky enough to see a couple species of owls in the badlands of North Dakota. 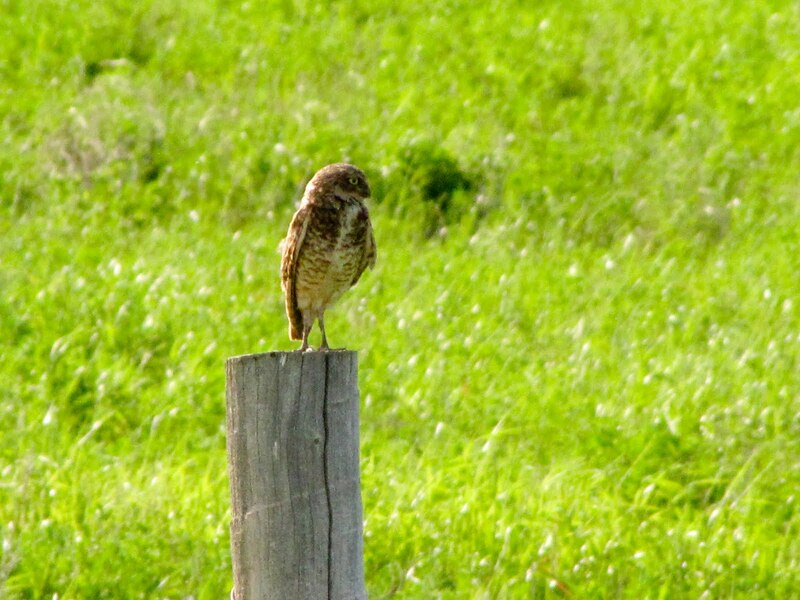 While driving around finding a place to camp for the night I came across a Burrowing Owl. There were some places nearby that looked like they could be used for nesting by the Burrowing Owl. Last night I camped in a Little Missouri National Campground. As it was getting dark I started to hear young owls screeching. 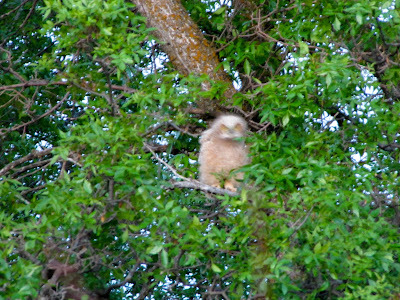 After getting out of my tent I found two fledged Great-horned Owls. 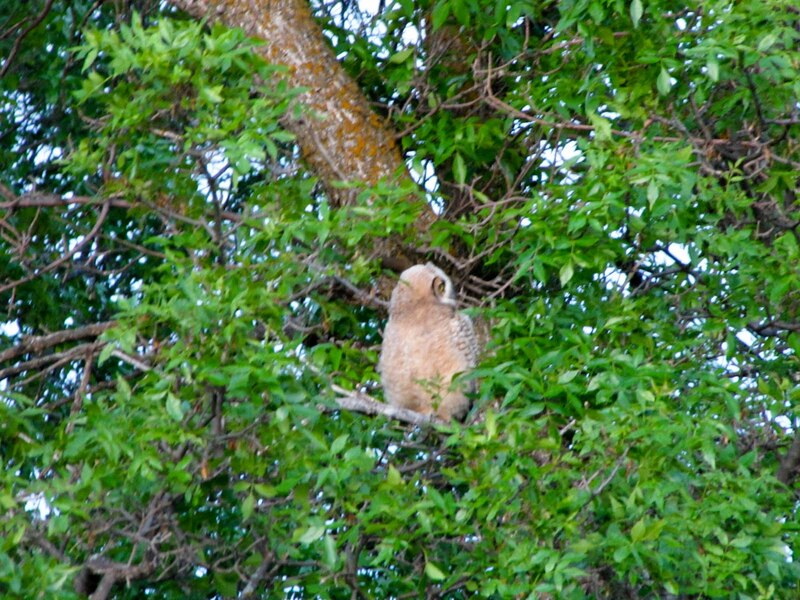 In the morning, one of the adults was perched about 20 feet away from my tent. 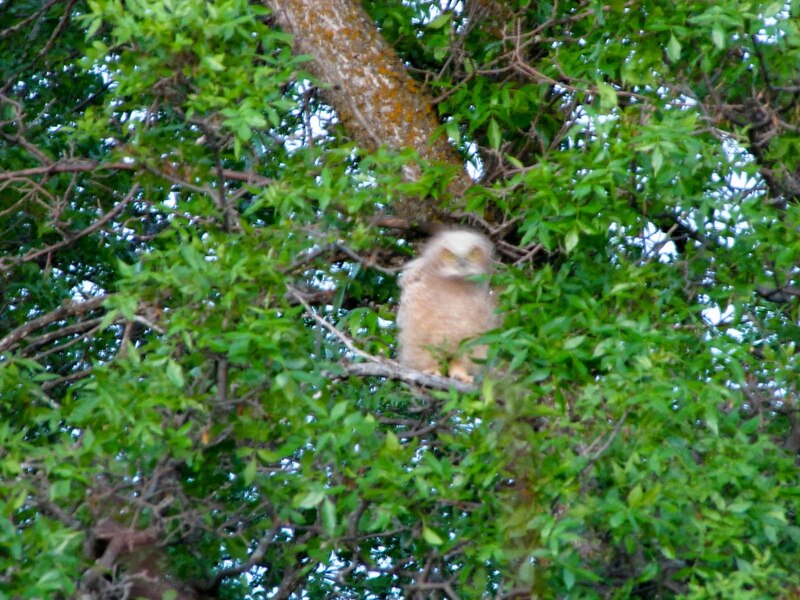 A picture of the owlet moving his head back and forth, looking at me.